WSOP Day 28: Brandon Shack-Harris leads final 6 in the $10K PLO with Hughes and Porter also in hunt. As Event #49: $10,000 Pot-Limit Omaha 8-Handed Championship moves into a fourth and final day, just six players remain with Brandon Shack-Harris leading the field and looking for a third bracelet. Ryan Hughes and Rep Porter are also in contention. Elsewhere today, Event #48: $1,500 No-Limit Hold'em MONSTER STACK returns for a third day of play with Steve Billirakis the current chip leader, while Kevin Iacofano leads the nine players left in Event #50: $1,500 Razz. After yesterday's Day 2, only 259 players remain in the MONSTER STACK from the 2,085 who began the day. The event attracted 6,260 entries for a prize pool of $8,451,000 and a first-place money of $1,037,451. Steve Billirakis ended last night bagging the top stack with 1,399,000. With more than $2.1 million in WSOP earnings already, he'll be looking today to remain in position to shoot for his second bracelet. Billirakis is followed in the counts currently by Tommy Nguyen (1,264,000), James Stewart (1,220,000), Raul Manzanares Lozano (1,176,000), and David Neiman (1,160,000). Others remaining include bracelet winners Gaurav Raina (357,000), Jackie Glazier (275,000) and Nipun Java (101,000), as well as Jimmy Guerrero (940,000), five-time World Series of Poker Circuit ring winner Kurt Jewell (768,000) and Aliaksei Boika (597,000). Day 3 begins on Tuesday at 11 a.m. and PokerNews will be there from start to finish. Click here to follow along with the live updates. Just six remain in the PLO $10K Championship, where a fourth day of play was added today. As noted, Brandon Shack-Harris bagged 7,730,000 to lead entering today's finale. Shack-Harris has more than $2.8 million in WSOP cashes, including winning bracelets in pot-limit Omaha events in 2014 and 2016. Following him are Ryan Hughes (5,140,000), Loren Klein (4,240,000), Rep Porter (2,680,000), Jerry Wong (2,150,000), and Scott Bohlman (1,855,000). The winner will take home the bracelet and just over $1 million. 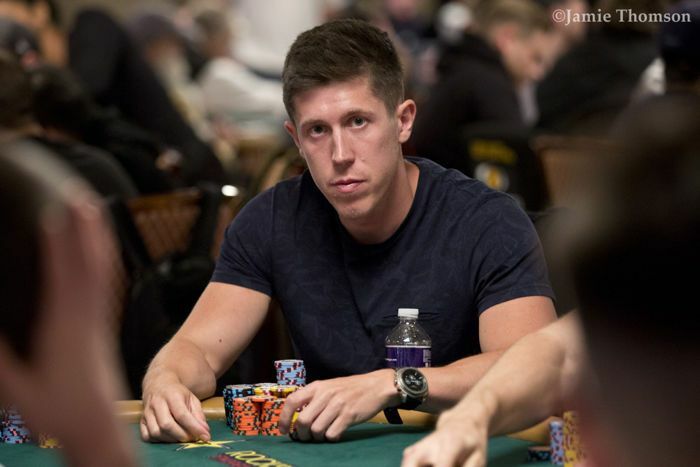 PokerCentral will be streaming the final table on its Twitch channel, and PokerNews will have all the live updates when cards go in the air at 2 p.m.
After two days of razz, only nine players return with Kevin Iacofano chip leader with 514,000. 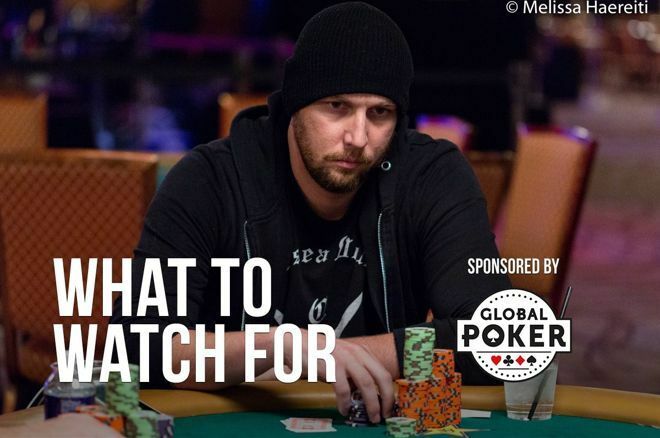 Iacofano has $800,000 in WSOP earnings and will be battling a tough group of players still remaining, all of whom like Iacofano are seeking their first WSOP bracelet. Following Iacofano are Michael Mckenna (477,000), Thomas Taylor (410,000), Adam Owen (340,000), Jay Kwon (295,000), Kyle Montgomery (261,000), Dzmitry Urbanovich (248,000), Jeanne David (194,000), and Jeffrey Mitseff (191,000). The winner will take home $125,431 and the gold bracelet. The tournament restarts at 2 p.m. Keep that browser on PokerNews for all the big pots. After 1,982 runners took part on the first day of action in this event, Alex Whitenstall leads those who remain with 197,800 followed by Quyen Hoang (178,000), Samuel Miller (177,400), Ranno Sootla (171,000), and Juan Vecino (156,300). Only 298 will be advancing to Tuesday's Day 2 with the winner taking home $272,504. The field surpassed last year's field of 1,927, creating a prize pool of $2,675,700. Other players returning include Paawan Bansal (98,700), Jeff Gross (78,500), brothers Ralph Massey (73,300) and Aaron Massey (72,300), Martin Mathis (70,400), Ivan Deyra (57,400) and Maria Konnikova (35,900). The bounty hunting resumes at 12 noon and PokerNews will be providing coverage throughout. Check back for all the updates. The big buy-in Limit Hold'em event got underway the the Rio on Monday, attracting 101 entries with 43 returning for Day 2. The field should grow as registration is allowed through today's restart. Michael Moore leads those returning with 268,500. Joao Vieira sits in second with 211,000 followed by Ofir Mor (211,000), Nick Schulman (202,000), and Christopher Chung (171,500). 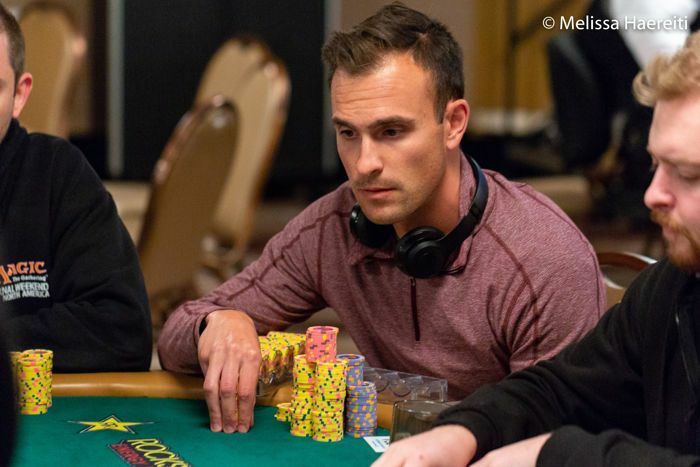 Others returning include Anthony Zinno (159,000), Ray Henson (154,500), Robert Mizrachi (140,500), Mike Leah (125,000), Matt Glantz (114,500), John Hennigan (84,700), Benny Glaser (60,000), Maria Ho (60,000), and Jeff Lisandro (53,500). The restart is set for 2 p.m. and PokerNews will have all the live updates. If your mantra is "the more Omaha the better," then here's another tournament that will suit you well. Players start with 7,500 chips and will be allowed one re-entry in this PLO hi-lo event. Levels will last 60 minutes and late registration is allowed for six levels in this three-day event. Texan Nathan Gamble (a fitting last name for PLO hi-lo) took home the bracelet in this event in 2017 along with a $223,339 first prize. 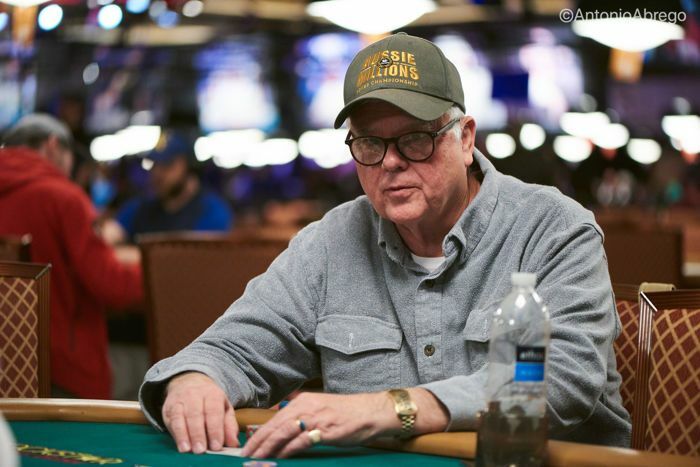 Gamble already finished eighth this summer in Event #35: Mixed Omaha for $17,279. Play gets underway at 11 a.m. and PokerNews will have all your live updates. Finally, the big blind ante format returns once again to the Rio in this event. Players start with 15,000 chips and levels last 60 minutes. Players can register for the first eight levels. And as the name implies, all antes will come from the big blind. The cards will be in the air at 3 p.m. for this first day of a three-day event, and PokerNews will be there with coverage from beginning to end. 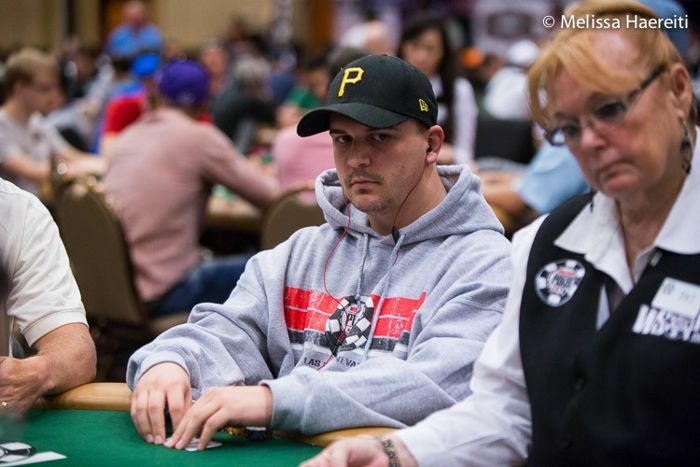 9 WSOP Day 9: Racener, Deeb at Final Tables, Hellmuth Advances in H.O.R.S.E. NEW: Get 5 No-Wager Free Spins for Every 100 Spins Played!